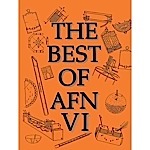 Classic books on all parts of the fireworks trade, from beginner to professional. SAVE MONEY! Some of our items are available in a combo package. For those who attend any Shooter’s Training Courses, it is highly recommended to bring PPE (long sleeve cotton clothing (no polyester! ), long pants, closed toe shoes (no flip flops or sandals), leather or cotton gloves, eye protection, ear protection, hard hat or cap recommended, bottled water and sun block (you will be in the sun), bring a torch if you have one. head protection, eye protection, hearing protection, foot protection (closed-toe shoes) and cotton, wool, or similarly flame-resistant, long-sleeved, long-legged clothing. Hard hat, ANSI rated safety glasses, ear protection, long sleeved cotton clothing, leather shoes or boots and gloves. April 7: PGI Shooter’s Certification Course by Celestial Displays at their training facility in Conroe, TX. Class: 9am-5pm. Course given by Ray Robinson. Cost 5. Includes PGI Display Operator Certification Study Guide and Lunch. Class size is limited to 25 people. For more information or to pre-register, contact Ray at 281-364-9738 or E-mail: tech@celestialdisplays.com. April 7: PGI Shooter’s Certification Course at Iowa Pyrotechnic Association’s club shoot at Yedlik’s Farm, 5990 28th Ave Dr., Vinton, IA. Class: 3pm-10pm. Course given by Mark Woodburn. Cost . Includes PGI Display Operator Certification Study Guide. IPA members: with book; Free without book. For more information or to pre-register, contact Mark at or E-mail: markstephenwoodburn@yahoo.com. April 7: Schneitter Fireworks & Importing Co. Annual 1.4G Demo at their facility at 12801 County Road 352, St. Joseph, MO 64505. Registration starts at 5:15pm and Demo product shoot will begin at 7:45pm. The event will include: Food, dessert, drinks, raffles, most importantly lots of Fun & Fireworks. DEMO SPECIAL: 10% off wholesale (For orders placed on April 1 – April 7, 2018. For in-stock Items only. No Credit terms. Cash & Carry. Payment due when ordered.) Please bring your own seating. Please RSVP by March 25th to 816-232-3969; FAX: 816-232-1620 or sfirewks@stjoelive.com. April 7: Spirit of ’76 Annual 1.4G Demo Night at Boonville, MO 65233. Register online at 76fireworks.com/demo; 573-447-1776; FAX: 573-447-1786; E-mail: service@76fireworks.com. The Spirit of '76 sales office and warehouse will be open before and after the demos to fill orders and meet with customers. April 7: Wayne’s World Fireworks, LLC 1.4G Demo & Shooter’s Training at 383 South County Road 700 East, Bowling Green, IN 47833. On Friday, come early for meet and greet and set up your camp site. Shooter’s Training from 10am-4pm. The fee is . per person and includes materials and a certificate; Dinner will be served between 5-6:00ish; 1.4G Demo starts at dusk (please remember to BYOC (bring your own chairs). Afterwards, office will be open for sales. 812-986-3066; FAX: 812-986-8006; E-mail: jr@waynesworldfireworks.com; Website: www.waynesworldfireworks.com. April 13 & 14: Jake’s Fireworks 18th Annual Shoot Off at their world headquarters, 1500 E 27th Terrace, Pittsburg, KS 66762. Please RSVP by April 1st. Password for Registration: WC2018. 800-766-1277. Online registration is available. Website: www.jakesfireworks.com/shoot-off-registration. On Friday at 6pm is Dinner; At 8pm is Cutting Edge Product Demo. On Saturday at 8am is Garage Sale; 10am-8pm is Trade Show; At 6pm is Dinner; At 8pm is World Class Product Demonstration. April 13 & 14: Winco Fireworks Blast Off at Pyro City, 105 South Firecracker Lane, Lone Jack, MO 64070. 8 miles east of Lee’s Summit on US Hwy 50 & Noel Rd. Come and enjoy all of the new 2018 fireworks from Black Cat, Powder Keg, Legend, Brothers, Asia Pyro, Nitro and Winda. Doors open at 6pm. We will again be serving great Kansas City BBQ, at 6:30pm so come hungry. Fireworks at Dusk. Please register online & RSVP by April 6th at www.wincofireworks.com or call 816-697-2217 or E-mail: info@wincofireworks.com. April 14: King Bird Fireworks 1.4G Demo at 1715 West State Road 28, Frankfort, IN 46041. Demo starts at 6pm. Food provided for wholesale customers. Friends and Family welcome! RSVP to 765-659-5100; FAX: 765-659-5144; E-mail: wholesale@kingbirdfireworks.com; Website: www.kingbirdfireworks.us. April 14: Premier Pyrotechnics, Inc. Shooter’s Training at the Conway Event Center in Conway, AR. Please note the class sizes are limited. Class fees of must be paid to assure attendance. Fees cover all materials, lunch & dinner. Registration will begin at 9:30am, and all seminars will initiate at 10am. 888-647-6863; FAX: 417-453-6339; Register online at: www.premierpyro.com; E-mail: premier@premierpyro.com for additional training dates. April 20: Big Fireworks Annual 1.4G Demo at the Warehouse on 2203 Deerfield Dr., Fort Mill, SC 29715. Warehouse opens at 9am. Food & Drinks at 5:30pm; Fireworks Demo at dusk followed by a finale. Please bring your own chairs; RSVP to 888-673-2459 or E-mail: sales@bigfireworks.com; Please include your name, phone, & number of people attending. Website: www.bigfireworks.com. April 21: AM Pyrotechnics Shooters Safety Course at their facility on 2429 East 535th Road, Buffalo, MO 65622. To register please e-mail Aaron Mayfield at aaron@ampyro.com. Cost: . Registration begins at 8am. 417-267-3799; FAX: 417-267-3798; Website: www.ampyro.com. April 21: Big Fireworks Annual 1.4G Demo at the Cortland Ball Field, Fifth Street & New Hampshire Ave., Cortland, NE 68331. Warehouse at Pyro Magic Fireworks, LLC, 641 S. Sherman Ave., Cortland, NE 68331. Warehouse opens at 9am. Food & Drinks at 5:30pm; Fireworks Demo at dusk followed by a finale. Please bring your own chairs; RSVP at 402-509-3507 or E-mail: sales@bigfireworks.com; Please include your name, phone, & number of people attending. Website: www.bigfireworks.com. April 21: Jake’s Fireworks 18th Annual Shoot Off at Fraternal Order of Police Banquet Hall, 150 Corvette Dr., Bowling Green, KY 42103. Garage Sale at 10am. Dinner starts at 6pm. Product demo to follow. Password for Registration: WC2018. 800-766-1277. Online registration is available. Website: www.jakesfireworks.com. April 21: Jake’s Fireworks 18th Annual Shoot Off at Aiken County Fairgrounds, 1566 Columbia Highway North, Aiken, SC 29801. Garage sale at 8am in Wagener, SC. Dinner starts at 6pm. Product demo starts at 8pm. Password for Registration: WC2018. 800-766-1277. Online registration is available. Website: www.jakesfireworks.com. April 21: Kracklin’ Kirks Fireworks / Co-Op Fireworks 1.4G Demo at Tuxedo Park, Crete, NE. Food available at 7pm. Demo starts at 8:30pm. Brands shown: Boomin’ Bulldog, Top Gun, Dominator, World Class, Winda, Brothers, and much more! Please RSVP to 402-826-4560; E-mail: kirk@kracklinkirks.com; Website: www.kracklinkirks.com. 7:45-ish. Bring lawn chair or folding chair or blankets. Website: www.maff.ws. All shows done at the Mid Atlantic Fireworks Festival are funded entirely by individuals doing the shows. April 21: PGI Shooter’s Certification Course at Northwest Display Fireworks (Big Tent), 20867 US Highway 93 N, Missoula, MT. Class: 9am-6pm. Course given by Micki McDanal. Cost . Includes PGI Display Operator Certification Study Guide. For more information or to pre-register, contact Jason Clinkenbeard at 406-239-3529 or E-mail: jason@northwestdisplay.org. April 21: Premier Pyrotechnics, Inc. Shooter’s Training at the Royal River Casino in Flandreau, SD. Please note the class sizes are limited. Class fees of must be paid to assure attendance. Fees cover all materials, lunch & dinner. Registration will begin at 9:30am, and all seminars will initiate at 10am. 888-647-6863; FAX: 417-453-6339; Register online at: www.premierpyro.com; E-mail: premier@premierpyro.com for additional training dates. April 21: Pyrotecnico Shooter’s Training at Union Area High School Auditorium, 2106 Camden Ave., New Castle, PA 16101. Registration: 8am; Seminar: 9am-5pm (approx. 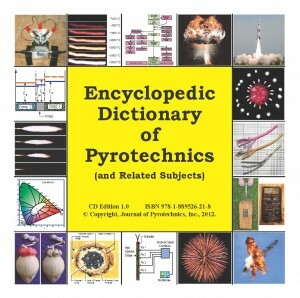 ); 800-854-4705; FAX: 724-652-1288; E-mail: mkillingsworth@pyrotecnico.com; Website: www.pyrotecnico.com. April 21: Victory Fireworks 1.4G Demo at the Gas-Lite Bar & Grill, W8945 US Highway 10, Ellsworth, WI 54011. Demo begins at sunset (about 8pm). We will be demonstrating approximately 90 different consumer fireworks. We will be lighting items from all manufacturers including our exclusive "Pyro King" brand. Demo shoot list will be available day of shoot. Please pick up shoot list and free Pyro King poster at the Gas-Lite Bar & Grill. Warehouse located at 579 Vincent Lane, Ellsworth, WI 54011 as well as all our retail stores in Prescott, Tomah, Osseo, Merrill, Siren and New Lisbon will be open all weekend! 715-273-3590; FAX: 715-273-3593; E-mail: sales@victoryfireworksinc.com; Website: www.victoryfireworksinc.com. April 26: NFPA 1126 Standard for the Use of Pyrotechnics before a Proximate Audience seminar at the Odeum Expo Center, 1033 N Villa Ave., Villa Park, IL 60181. Given by Andrew Nicholls, Owner/CEO of Orlando Special Effects and representative on the fireworks committee at NFPA meetings. Registration: 8am; Class 8am-4pm. Cost 5 includes lunch. 5 after April 13th. Class size is limited to 36 people. This course is in proximate pyrotechnics and special effects and not part of the PGI’s Display Operator Course nor Certification. Questions or to register contact Cesar Benitez at 708-429-0520 or E-mail: cb_5alarmfireworks@msn.com. April 27: Big Fireworks Annual 1.4G Demo at the Kansas State Fairgrounds Grandstand, Corner of N. Plum St & E, 29th Ave., Hutchinson, KS 67502. Warehouse opens at 9am at 401 S Washington St, Hutchinson, KS 67501. Food & Drinks at 5:30pm; Fireworks Demo be at dusk followed by a finale. Please bring your own chairs. RSVP at 888-673-2459 or E-mail: sales@bigfireworks.com; Please include your name, phone, & number of people attending. Website: www.bigfireworks.com. April 27: NFPA 160 Standard for the Use of Flame Effects before an Audience seminar at the Odeum Expo Center, 1033 N Villa Ave., Villa Park, IL 60181. Given by Andrew Nicholls, Owner/CEO of Orlando Special Effects and representative on the fireworks committee at NFPA meetings. Registration: 8am; Class 8am-4pm. Cost 5 includes lunch. 5 after April 13th. Class size is limited to 36 people. This course is in proximate pyrotechnics and special effects and not part of the PGI’s Display Operator Course nor Certification. Questions or to register contact Cesar Benitez at 708-429-0520 or E-mail: cb_5alarmfireworks@msn.com. April 27 & 28: Kellner’s Fireworks, Inc. 1.3G & 1.4G Demo & PGI Shooter’s Training at 478 Old Route 8, Harrisville, PA 16038. 1-800-458-6000 in US & 814-786-7995; FAX: 814-786-7254; E-mail: bkellner@kellfire.com; Website: www.kellfire.com. FRIDAY, APRIL 27TH: 10am-10pm. Shop Kellner’s great selection of our exclusive Liberty Bell Brand Consumer Fireworks and selected products from our manufacturer partners- Magnus, Miracle and Sky Song. ALL AT OUR DEMO NIGHTS ONLY SPECIAL 50% OFF PIECE PRICES. 10am-5pm: Visit with representatives from Cobra Firing Systems, the leading US manufacturer of wireless firing systems for Fireworks and Pyrotechnics. 6pm-10pm: You are invited to blast away with open shooting of Consumer and Display Fireworks. Try new items or shoot old favorites but ONLY FIREWORKS PURCHASED FROM KELLNERS WILL BE ALLOWED TO BE SHOT. This supervised shoot site is at our facility on Old Route 8 in Wesley. SATURDAY, APRIL 28th: 9am: Pyrotechnics Guild International Display Fireworks Shooters Certification. A full day course presented by The Pennsylvania Pyro Artists Club. Learn the basics of safe display fireworks exhibiting- includes hand firing, electrical firing and using pyrotechnics before a proximate audience. The fee for this course is . per person and includes a certificate of attendance, T-shirt and text book. This course will be held at the Clintonville Volunteer Fire Department, 501 Emlenton Street, Clintonville, PA 16372. 10am-5pm: Visit with representatives from Cobra Firing Systems, the leading US manufacturer of wireless firing systems for Fireworks and Pyrotechnics. 7:30pm-10pm: New Fireworks Product Demonstrations (1.3G & 1.4G) at our facilities. Open to ALL! April 27 & 28: Red Rhino Fireworks 1.4G Demo in Joplin, MO. See the latest from Red Rhino, Texas Outlaw, Hog Wild Fireworks. If you want to pick up fireworks while you’re in town, no problem. The warehouse will be open both Saturday and Sunday and orders can be placed and picked up all weekend. Please call 1-866-457-4466 to RSVP or online at www.redrhinofireworks.com. E-mail: info@redrhinofireworks.com. April 27 & 28: RKM Fireworks 1.4G & 1.3G Demo & PGI Display Operator Certification (DOC) Course at Elkhart 4H Fairgrounds, 17746-D County Road 34, Goshen, IN 46528 at the Ag Hall, next to Sea Lion Splash. Friday, April 27th: 1.4G Demo at dusk. Demos are free to attend. Please bring your own seating. Saturday, April 28th: 1.3G Demo & Shooter’s Course. RSVP by April 9th. Registration: 8am; Class: 9am; Cost includes textbook, lunch & dinner. Bring own seating and PPE (head protection, eye protection, hearing protection, foot protection (closed-toe shoes) and cotton, wool, or similarly flame-resistant, long-sleeved, long-legged clothing). For more information, contact Bryan Szajko at 269-663-6110; FAX: 269-663-6103; E-mail: bryan@rkmfireworks.com; Website: www.rkmfireworks.com. 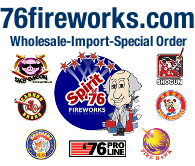 April 28: American Wholesale Fireworks 7th Annual 1.4G Demo Night & Shooter’s Training at 7041 Darrow Rd., Hudson, OH 44236. Over 50 items will be shown. All items shot during demo will be sold at wholesale pricing throughout the day (up to 65% off). Any item in the store not shot during the demo will be 50% off. Demo starts at dusk. Store open from 1:00pm-11:30pm. Pyromusical at end of demo. Free food available on a first come, first serve basis in the store. And a food truck will be available all night! There will also be a Chinese Raffle with 12 different fireworks packages. All proceeds of the Chinese Raffle will benefit Relay for Life. They will also be giving away door prizes with every car receiving a ticket. And giving away multiple prizes during the demo. entry fee due to limited parking but all attendees will receive a gift card upon entry. Must have a ticket to enter/register. This event will likely sell out fast so get your tickets now! Call or email to register. 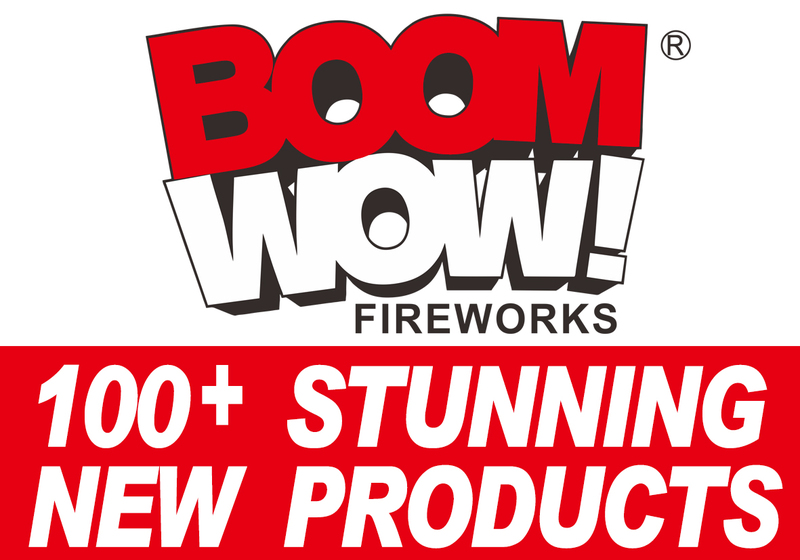 330-656-2380; FAX: 330-653-9030; E-mail: contact@americanfireworks.com; Website: www.americanwholesalefireworks.com. April 28: Area 51 Fireworks 1.4G Demo at 1381 E. Hwy. 372, Pahrump, NV 89048. Awesome Show, Great Deals! Deals all day long! 775-727-6223; E-mail: tim@fireworks.net; Website: www.area51fireworks.com. April 28: Big Fireworks Annual 1.4G Demo at the Warehouse on 458 South County Line Rd, Overbook, OK 73453. Warehouse opens at 9am. Food & Drinks at 5:30pm; Fireworks Demo at dusk followed by a finale. Please bring your own chairs; RSVP to Joshua at 979-551-3994 or E-mail: sales@bigfireworks.com; Please include your name, phone, & number of people attending. Website: www.bigfireworks.com. April 28: Jake’s Fireworks 18th Annual Shoot Off at Athens Life Fellowship, 8881 CR 3918, Athens, TX 75751 at 8pm. Dinner at 6pm at Trinity Valley Community College, 100 Cardinal Dr., Athens, TX 75751. Doors open at Noon. Lunch will be provided. Password for Registration: WC2018. 800-766-1277. Online registration is available. Website: www.jakesfireworks.com. April 28: Jake’s Fireworks 18th Annual Shoot Off at Winlock Senior High School, 241 N. Military Rd, Winlock, WA 98596. Garage sale at 8am at the warehouse. Dinner starts at 6:30pm in the school cafeteria; Demo starts at 8pm at the grandstands. Password for Registration: WC2018. 800-766-1277. Online registration is available. Website: www.jakesfireworks.com. April 28: Lew’s Fireworks, Inc. 1.4G Demo at 45788 US Highway 212, Watertown, SD 57201. Starts at 5:30pm. 605-882-1774; FAX: 605-882-1115; E-mail: mail@lewsfireworks.com; Website: www.lewsfireworks.com. April 28: Little China Fireworks Demo at 5919 Sunfish Rd., Brownsville, KY 42210. 270-879-9340; E-mail: ewpyronl6009@yahoo.com. April 28: Lynch Imports 1.4G & 1.3G Demo & Display Operator Course. Friday: Dinner at 7pm, 1.4G Demo just before dark featuring new Pyro Eagle items! 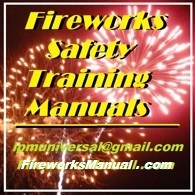 Saturday: Ohio State Fire Marshal Continuing Education Requirement Course & Fireworks Safety Seminar. Sign-in begins at 9:30am; course 10am-5pm. Will meet Ohio Fire Marshal CE. 6pm: Dinner; 1.3G Demo just before dark. RSVP by phone or email, and start getting those orders ready. As an added bonus, if you RSVP before April 1, we will enter you in a drawing for fabulous prizes! 812-623-0099; E-mail: sales@lynchimportsllc.com; Website: www.lynchimportsllc.com. April 28: PGI Shooter’s Certification Course by Iowa Pyrotechnic Association at Hills VFD Meeting Room, 109 East Main St., Hills, IA. Registration: 8am; Class: 9am-6pm. Course given by Andy Neuzil & Mark Woodburn. Cost . Includes PGI Display Operator Certification Study Guide. Re-certification with book; Re-certification without book. Fire Departments, contact us. Walk-in registration. Club’s Spring Shoot follows class. Class size is limited to 25 people. For more information or to pre-register, contact Andy at E-mail: ejneuzil@yahoo.com or Mark at E-mail: markstephenwoodburn@yahoo.com. April 28: PGI Shooter’s Certification Course by Wisconsin Pyrotechnic Arts Guild (WPAG) at the Wildlife Campground, N4597 Willow Lane, Birnamwood, WI 54414. The course will cost for WPAG members and 0 for non-WPAG members. The fee includes the PGI "Display Fireworks Operator Certification Study Guide", the opportunity to shoot two 3-inch shells, live demonstrations of fireworks malfunctions, and other miscellaneous course supplies. Food will be available for a small additional fee. The course will start at 10am and will finish up around 5:30pm. You will need to stay for the entire course from start to finish, so please plan your schedule accordingly. The course consists of classroom work and live demonstrations of various shell malfunctions and a short test. Please fill out the course application available online at www.wpag.us and return it to the club Safety Director with payment. Payment is due by April 17th. The course is limited to approximately 30 students. 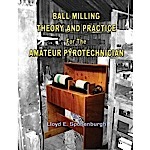 Remember that in order to shoot class B materials at a WPAG shoot you need to have taken this course. For more information Barb Schneider at 715-845-6784 or E-mail: barb6784@aol.com; Website: www.wpag.us. April 28: Premier Pyrotechnics, Inc. Shooter’s Training at Jackson County Jr. Fairgrounds, Cottagesville, WV. Please note the class sizes are limited. Class fees of must be paid to assure attendance. Fees cover all materials, lunch & dinner. Registration will begin at 9:30am, and all seminars will initiate at 10am. 888-647-6863; FAX: 417-453-6339; Register online at: www.premierpyro.com; E-mail: premier@premierpyro.com for additional training dates. April 28: Rozzi’s Famous Fireworks Annual Fireworks Shooters School & Fireworks Exhibitors Annual Training Program at the Clinton County Fairgrounds, 958 West Main St., Wilmington, OH 45177. 8am-9am: Registration and includes t-shirt, certificate of attendance, donuts, refreshments, & dinner. Cost . Rozzi’s Annual Shooter Exhibitor School is officially sanctioned by the State of Ohio and meets the state’s continuing education requirements and includes training program for 1.3 & 1.4 class fireworks, hands-on training from licensed exhibitors, multiple display setups to learn from and enjoy, special training session for public safety officials, & live fire training. Register & pay online at www.rozzifireworks.com. Contact: 513-683-0620; FAX: 513-683-2043; E-mail: info@rozzifireworks.com. April 28: Winco/All Sparks Fireworks Blast Off at 10435 East Washington St., Indianapolis, IN 46229. Come and enjoy all of the new 2018 fireworks from Black Cat, Powder Keg, Legend, Brothers, Asia Pyro, Nitro and Winda. Doors open at 6pm. We will again be serving dinner at 6:30pm, so come hungry! Fireworks at Dusk. Please register online & RSVP by April 20th at www.wincofireworks.com or call 317-797-9120 or to Andy Swickard at andy@wincofireworks.com. April 28: Winco/Central Fireworks Blast Off at 3732 US Highway 49, Hattiesburg, MS 39401. Come and enjoy all of the new 2018 fireworks from Black Cat, Powder Keg, Legend, Brothers, Asia Pyro, Nitro and Winda. Doors open at 2pm.We will again be serving dinner at 6pm so come hungry! Fireworks at Dusk. Please register online & RSVP by April 18th at www.wincofireworks.com or call 601-582-8055 or to Gwen Landry at E-mail: gwen@centralfireworks.com or to Jonathan Pond at E-mail: jonathan@wincofireworks.com or to Regie Rhoads at E-mail: regie@wincofireworks.com. April 28: Winco Fireworks/Red Rocket Blast Off at 1166 Porter Road, Rock Hill, SC 29730. Come and enjoy all of the new 2018 fireworks from Black Cat, Powder Keg, Legend, Brothers, Asia Pyro, Nitro and Winda. Doors open at 4pm. We will again be serving dinner at 5:30pm, so come hungry! Fireworks at Dusk. Please register online & RSVP by April 20th at www.wincofireworks.com or call Bruce Pyles, GM/Sales at 803-329-2577; E-mail: bruce@wincofireworks.com. April 28: Winco Fireworks/Tennessee/Alabama Fireworks Blast Off at 1125 Willow Ave., South Pittsburg, TN 37380. 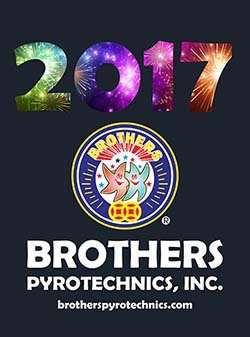 Come and enjoy all of the new 2018 fireworks from Black Cat, Powder Keg, Legend, Brothers, Asia Pyro, Nitro and Winda. Doors open at 4pm. We will again be serving dinner at 6:30pm so come hungry. Fireworks at Dusk. Please register online & RSVP by April 20th at www.wincofireworks.com or call 800-654-5267; E-mail: info@wincofireworks.com. May 4: Big Fireworks Annual 1.4G Demo at Eagle Fairgrounds, 14318 South Grange Rd, Eagle, MI 48822. Food & Drinks at 5:30pm. Fireworks Demo at dusk followed by a finale. Please bring your own chairs. RSVP to 888-673-2459 or sales@bigfireworks.com. Please include your name, phone, & number of people attending. Our Warehouse is at 3366 Remy Dr., Lansing, MI 48906 and is open 9am-5pm. Website: www.bigfireworks.com. May 5: Celebration Fireworks 14th Annual 1.3G Demo & PGI Display Operator Training Class at Independent Park Community Center, 150 Independent Rd, Breinigsville, PA 18031 (intersection of route 863 and route 222). Demo night begins at about 8pm. Remember to bring along a pen/pencil, small light and lawn chair. Detailed lists of each device to be fired that night and price lists will be supplied and is also available on the website. Rain date for demo is May 6. Food and drinks will be available. PGI Certification Class on Saturday starts promptly at 8am at the demo site at Independent Park, Breinigsville PA. Class is rain or shine. Students are invited to help set up the evening demo display, and this counts towards the experience requirement for PGI certification. Cost is payable to Celebration Fireworks. Fee includes the latest 300-page PGI Display Fireworks Operator Certification Study Guide, lunch, supervised hands-on live fireworks training, and a written final exam. Re-certification is only . Please bring your copy of 2011 PGI Operators Study Guide; otherwise full fee will be charged and you will be given the latest edition of the Study Guide. Register for class on the website or call 610-978-8989; FAX: 610-978-8988; E-mail: john@celfire.com; Website: www.celfire.com. May 5: Fireworks Forever 1.4G Demo at 1576 32nd St., Somerset, WI 54025. 715-483-1322; E-mail: info@fireworksforever.com; Website: www.fireworksforever.com. 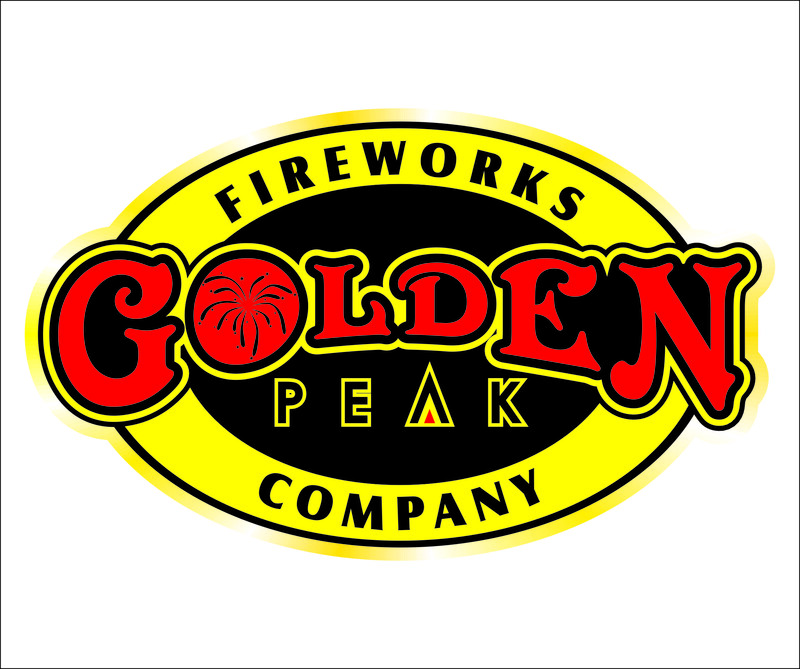 May 5: Four Seasons Fireworks 1.4G Demo at Cacklebery Campground, 560 Tomoka Farms Rd., New Smyrna Beach, FL 32168. Warehouse for order pickups at 1680 N. Woodland Blvd., Deland, FL 32120. Gates open at 4pm. BYOB and your own chairs. Register & RSVP by April 27th online at www.ineedfireworks.com or call Billy Sharp at 407-209-8653 or 407-790-4944. E-mail: fsf@ineedfireworks.com. May 5: PGI Display Fireworks Operator Certification Course by Rocky Mountain Pyrotechnics Guild at Centennial Hall, 124 10th St., Steamboat Springs, CO. 9am-7pm. Cost 5. Includes PGI Operator Certification Study Guide. Or if you bring your own copy of the current Study Guide. Class size is limited. Lunch is provided for those who RSVP by May 13th. Pre-registration is required. Please send payment and the registration form to: RMPG, 6148 Iris Way, Arvada, CO 80004. Each participant must bring safety glasses, a hard hat, hearing protection, and wear cotton clothing with long sleeves and long pants. (Turn out gear is acceptable.) Flame retardant layers and boots are recommended for the outdoor portion of the class. Cold, wet, windy weather and/or muddy ground is a possibility, so be prepared. A highlighter, or pen, pencil, and paper (if you don’t like to make notes in your book) will come in handy. A water bottle is also recommended. Questions: contact Micki McDanal at 303-420-0806 or E-mail: stev_mic@ecentral.com. Website: www.rmpg.org. May 5: Pyro Dudes Fireworks 1.4G Demo Night at 6173 Williamsport Pike, Falling Waters, WV 25419. Over 100 products from Dominator, Mad Ox, Winda, Pyro Demon, Independence brand and more. Food, music, special pricing, and an end-of-the-night pyromusical display. 240-372-9257. E-mail: timj@pyrodudes.com; Go to www.pyrodudes.com for more information. May 5: Rainbow Fireworks, Inc. Display Operators Safety Certification School at our headquarters at 76 Plum Ave., Inman, KS 67546. 9:45am – 5pm. Kansas and Oklahoma Law requires all shooters to undergo a permitting process. Pre-registration is required. THERE IS NO COST! Lunch will be provided. This class covers the necessary classroom education hands-on training for both new and renewal licenses. Attendees will receive a certificate of completion which is necessary to complete the OK State Fire Marshal Application and/or KS State Fire Marshal Application for Outdoor Display Operator License. For more information please contact Stephanie at 620-663-7714; FAX: 800-884-1218; E-mail: peggy@fieworks-display.com or use the form on their website at www.fireworks-display.com. May 5: Reichenbach Fireworks 1.4G Demo at 815 High Ridge Dr., Billings, MT 59105. Demo starts at 6pm. Office: 406-248-1150; George Reichenbach’s Cell: 406-670-7041. May 5: Winco Fireworks Spring Shoot-off at Gulf Coast Fireworks, 41118 E. I-55 Service Rd, Ponchatoula, LA 70454. Come and enjoy all of the new 2018 fireworks from Black Cat, Powder Keg, Legend, Brothers, Asia Pyro, Nitro and Winda. Doors open at 2pm. We will again be serving dinner at 6pm so come hungry. Fireworks at Dusk. Please register online & RSVP by April 25th at www.wincofireworks.com or call 985-956-7108; E-mail: info@wincofireworks.com. May 5: Winco Fireworks Utah Annual Blast Off at 710 W. Amidan Dr., Bldg 5X, Ogden, UT 84404. Come and enjoy all of the new 2018 fireworks from Black Cat, Powder Keg, Legend, Brothers, Asia Pyro, Nitro and Winda. Doors open at 6pm. We will again be serving dinner at 7:30pm so come hungry. Fireworks at Dusk. Please register online & RSVP by April 20th at www.wincofireworks.com or call 801-732-5880 or to Jannette Rebeck at jannette@wincofireworks.com. May 6: Fireworks F/X Fireworks Operator Course at Holiday Inn – Truro (Prince Street) NS Canada. Part of Fire Services Association of Nova Scotia conference. Courses start at 9am, break for lunch at Noon and finish about 4pm. Lunch is not provided. The Course fee of 0 + GST/HST provides you with the Display Fireworks Manual, all materials and your participation in setting up and firing a fireworks display. There are no prerequisites to take the Course, but you must be 18 to apply for your FOC. 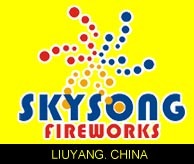 Download application at www.fireworksfx.com/fireworks-training.html; E-mail: info@fireworksfx.com. 1-800-717-2292; FAX: 1-866-811-1342. For a minimum $50. order, you can pick one rare collectible catalog or poster. For a minimum $100. order, you can pick 3 catalogs or a free 2007 Trade Directory. All orders over $200., get FREE shipping and any or all of the collectibles and Trade Directories you desire. Due to high costs of postage, freebies are sent to only USA customers. Four times a year in March, June, September and December, American Fireworks News brings the fireworks world into your living room. Each video is in a "magazine" format, some of this and a little of that, always about fireworks. Hosted by AFN editors Dotty and Jack Drewes, you see fireworks being made, talk with the pros, test-shoot fireworks, learn about collectibles and regulatory matters, etc. It's not a Hollywood production, but you don't hear cuss words either. Just good down home folks with the greatest fireworks! By firecrackers for 5 cents a pack? 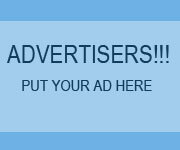 Find the best display company? The North American Fireworks Trade Directory - over 200 pages of the greatest assortment of information about the fireworks trade! Lists manufacturers, importers, distributors of fireworks in the U.S., Canada & Mexico. Companies, addresses, phones & fax numbers, plant locations, types of operations. Also, suppliers, associations, insurance, publishers, etc. Hard information, unavailable elsewhere. This book has what you want to know!